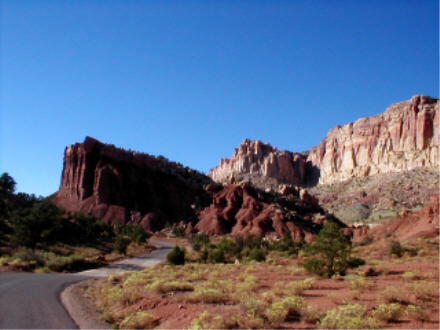 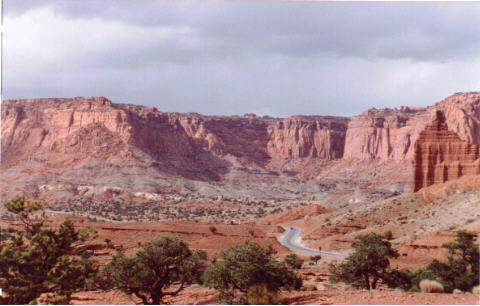 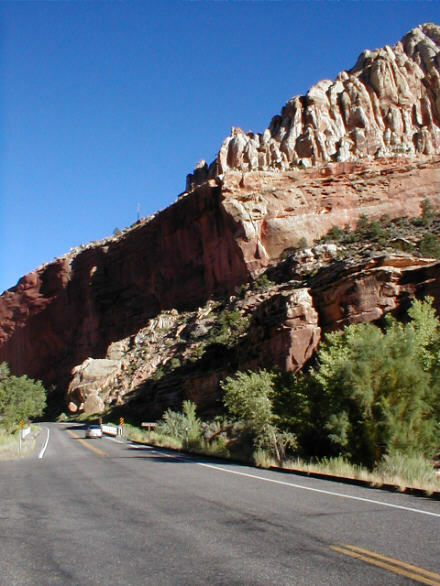 Colorful sandstone cliffs line the road through the Capitol Reef area. 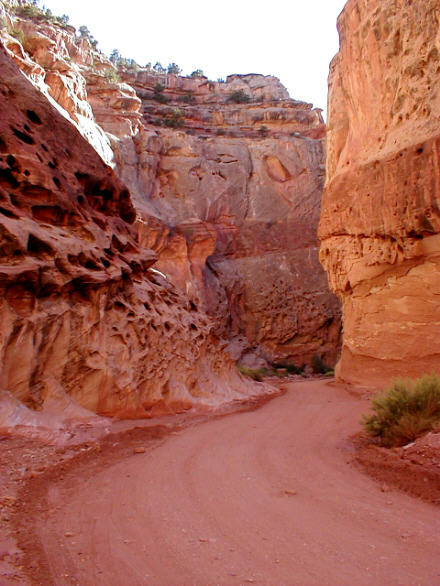 Although a gravel road leads into some of the formations (25 miles round trip), and a 70-mile (one way) dirt road leads deep into the southern Utah wilderness, this is predominantly a hikers' park. 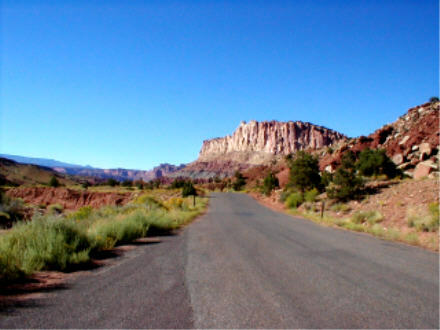 Casual visitors will be satisfied with the sights along SR 24 through the park: as this road is the most direct route between Bryce Canyon and Arches National Parks, Capitol Reef makes a convenient stop. 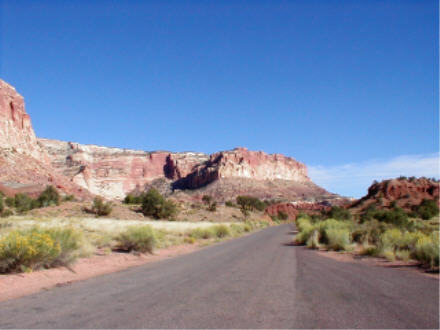 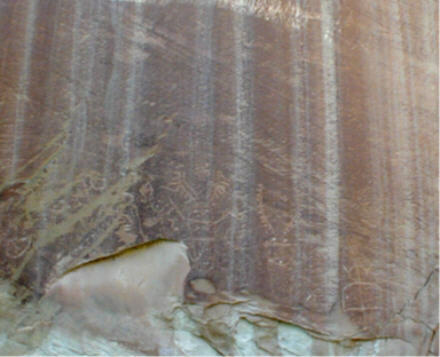 In addition to panoramic views from well-marked overlooks, this area includes Indian petroglyphs, the one-room schoolhouse and still-fertile orchards from the old Mormon settlement of Fruita, and several easy day-hiking trails.